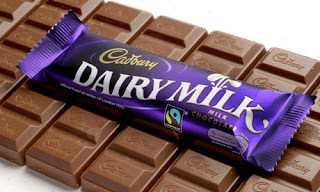 Interesting facts and Health Benefits of Chocolate | Do You Know? Chocolate is the most popular confectionery flavor worldwide. We love and enjoy it in all its variety and forms, but just how much do we know about it? Although one doesn't need to be a master chocolatiere to appreciate it, there are an endless number of fascinating facts and statistics about its production and our usage of it. 1. Research suggests that chocolate was originally used more than 2,500 years ago, beginning in Central America. 2. Chocolate is known as 'Food of Gods', which comes from the Latin name of 'Theobrama Cacao' for Cocoa tree. 3. The name chocolate comes from the Aztec word xocalati meaning bitter water. 4. More than twice as many women than men eat and crave chocolate. 5. It is observed that chocolate cravings cannot be satisfied by any sweet/candy other than chocolate itself. 6. Chocolate produces the effects of a mild anti-depressant by increasing serotonin and endorphin levels in the brain. 7. Chocolate contains a small quantity of caffeine emulates a mild amphetamine. 8. Cocoa butter is a by-product produced from the crushing of roasted cacao beans, and although used in the chocolate making process, it is also used in a number of cosmetic products including massage oils and skin cosmetics. 9 . The biggest chocolate structure ever made was a 4,484lb, 10 foot tall, Easter egg, made in Melbourne Australia. 10. Chocolate makers use 40% of the world's almonds and 20% of the world's peanuts. 12. Allergies to chocolate are uncommon (isn't that good to know). 13. America consumes virtually 50 percent of the worlds chocolate. 14. Napoleon always carried chocolate with him, which he ate as a pick-me-up whenever he needed an energy boost. 15. One cacao pod will contain about 42 beans. 270 cacao beans are required to produce a pound of chocolate. 16. More than 7 billion chocolate chips are eaten annually. 17. Ninety percent of the worlds cacao is grown on small family run farms, no larger than 12 acres. 18. Chocolate does not cause or aggravate acne, this is a myth.19. Over 66 percent of the entire worlds cacao is grown in Africa and 98 percent of all cocoa is cultivated by just 15 countries. Research has found that chocolate can strengthen your body self-defense mechanism. 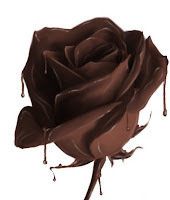 It is because of the fact that chocolate is rich in antioxidants, which are good for your body. In fact, darker the chocolate, better it is for your immune system. A research says that dark chocolate is capable of lowering the blood pressure and improve the levels of LDL cholesterol, too. As chocolate is rich in flavonoids, it is good for your heart. Go ahead and get your bar right now! You must have heard your parents to avoid chocolate as it can result in damaged teeth. Pack that myth in the wrapper that you take off your next chocolate. Chocolate contains a compound known as theobromide, which is effective in eliminating bacteria that causes cavities. Of course, excess of everything is bad; keep a control on your cravings! Chocolate is a mood-maker! Yes, it gives you pleasure and helps improve your mood. Just let a block melt in your mouth while your eyes closed, and see the magic! Actually, chocolate contains serotonin, a natural antidepressant. Serotonin kicks up your mood and makes you livelier. 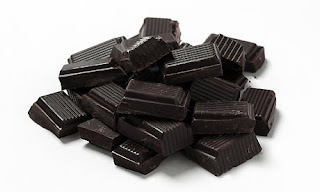 Just like green leafy vegetables, chocolate gives you magnesium, a highly important nutrient for your body. In fact, magnesium helps regulate your digestive, neurological, and cardiovascular systems. 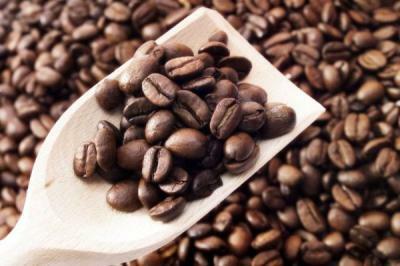 , Also, it is part of the metabolic process that converts food to energy. Go, grab your dose of magnesium, right now!